So, I’ve been testing Netlify last week and came across Netlify CMS. The CMS is pretty easy to set up, and it’d be a wise choice for people who don’t want to spend money on hosting. But SEO… yeah that’s a problem when it comes to Jekyll themes. Sure, you can optimize Jekyll a lot, but it’s hard for people with no development knowledge to setup Jekyll + Netlify CMS manually. 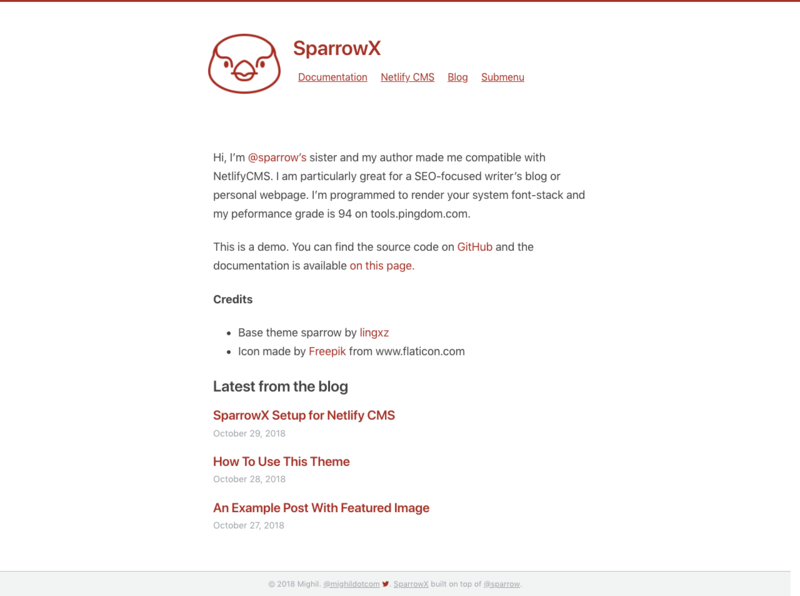 My search for a clean, minimal Jekyll theme ended when I found sparrow on GitHub. Developed by lingxz, it’s a solid theme that can be used as a boilerplate. So I took the base theme, improved loading speed, added many features for SEO and made it to a Jekyll + Netlify-CMS boilterplate. Fully compatible with Netlify CMS (one-click setup). Added new custom variables like updated, headerimage, feature-img, sitemap and tag. The theme renders system font-stack. Improved load time and reduced file requests. 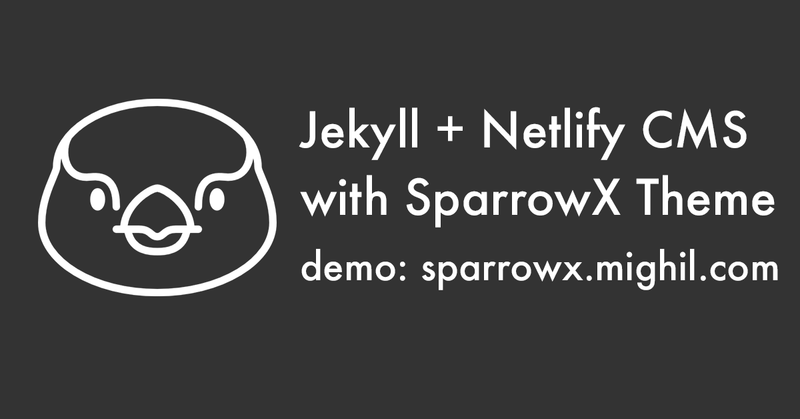 Visit this page to read the SparrowX documentation for Netlify CMS. Just fork this repo and replace the posts with your own. Also, rename the sample poetry collection to replace it with your own collection, or just delete it if you don’t need to use collections. The example is poetry, but you can easily revamp this into essays, short stories, portfolio, or whatever your creative work is. Create a Netlify account if you don’t have one. Select master branch to deploy. Use jekyll build build command and set the Publish directory as _site. The /admin/ directory contains the index.html and config.yml for Netlify CMS. Here’s how the config.yml looks for now. You may edit this according to your preference. The dashboard looks the way as configured on config.yml inside /admin. 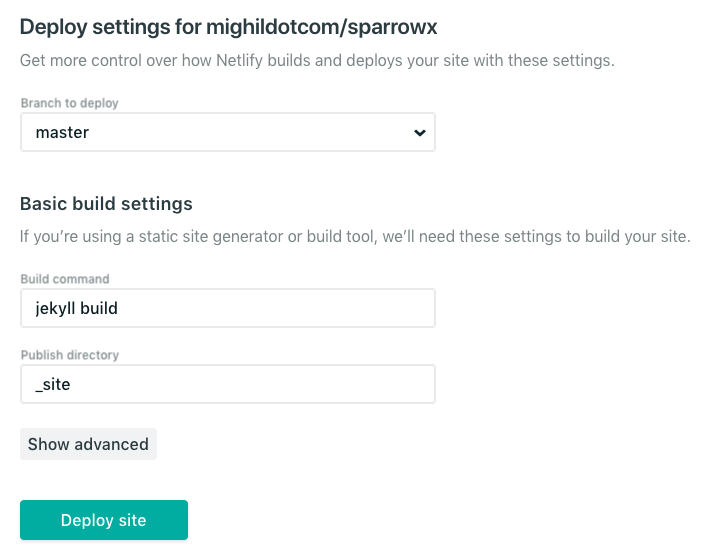 Go ahead and test SparrowX if you’ve time. Thanks for reading.